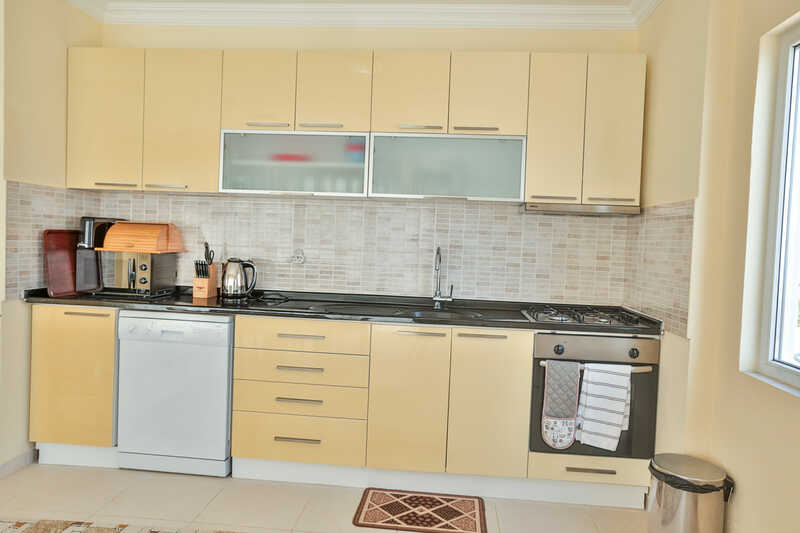 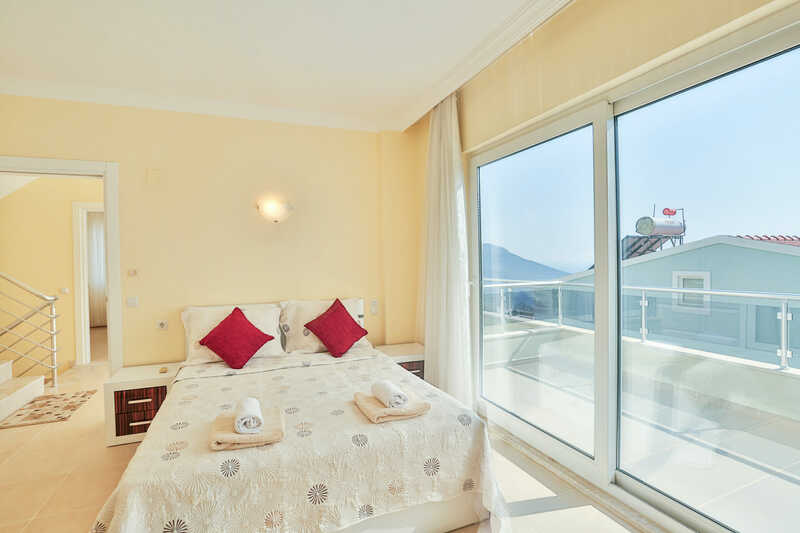 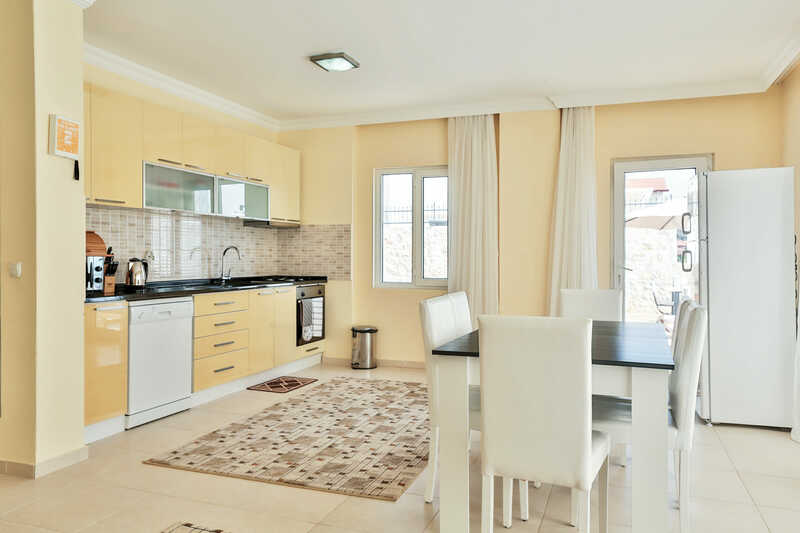 Villa CirCis is a spacious, 4 bedroom holiday villa (sleeping up to 7 guests) located in the picturesque resort of Kalkan, Turkey. 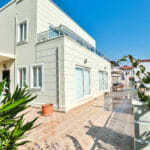 The villa has a large private swimming pool, spacious outdoor terraces and a private roof terraces. 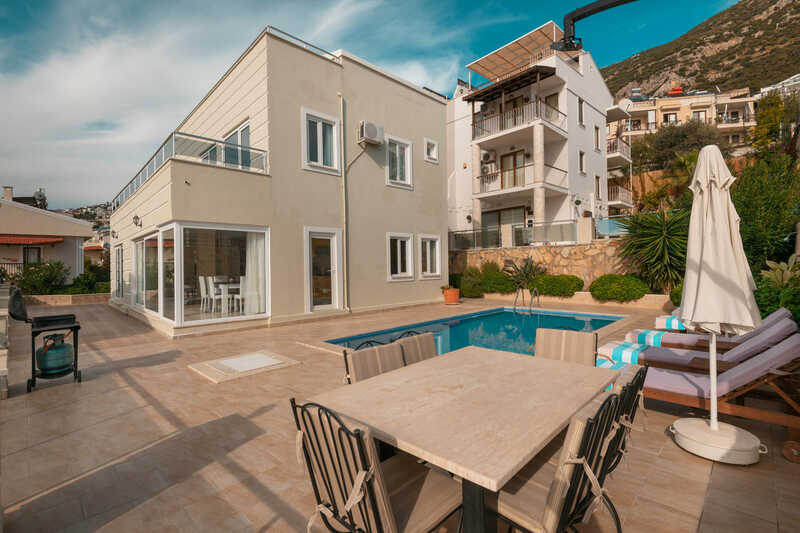 The villa is in an excellent location- situated on a peaceful hillside yet within 10 minutes walking distance of Kalkan’s Old Town. 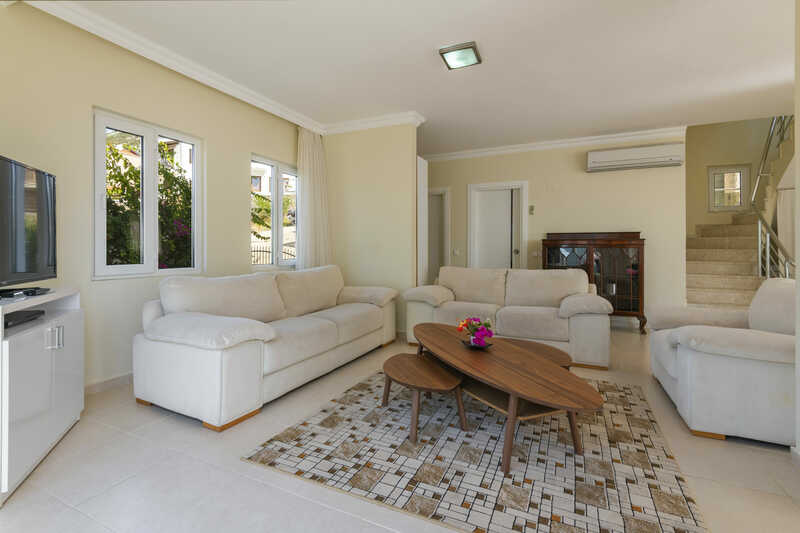 On the ground floor of the property there is an exceptionally spacious open plan living area. 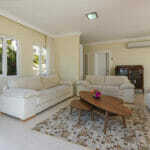 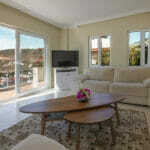 The lounge area is equipped with two sofas ,two armchairs, coffee table and entertainment unit with flat screen TV. 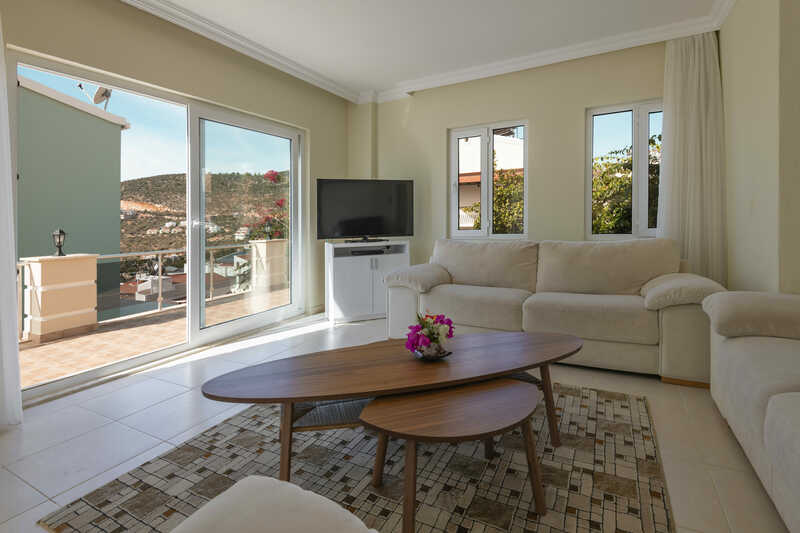 Double patio doors lead out onto the pool terrace. 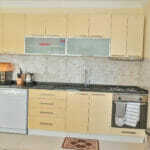 The lounge leads into the kitchen area which is fully equipped with all white goods and there is a dining table with chairs to seat 6. 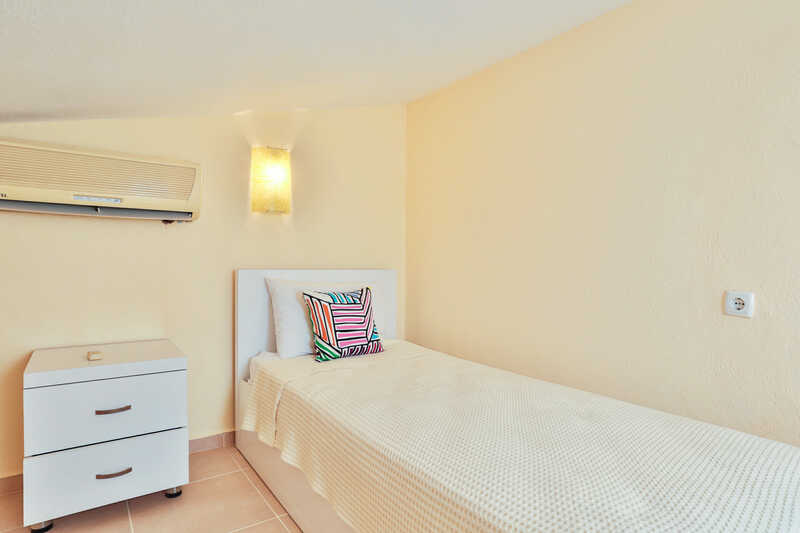 Also on this ground floor level there is a double bedroom with en-suite bathroom. 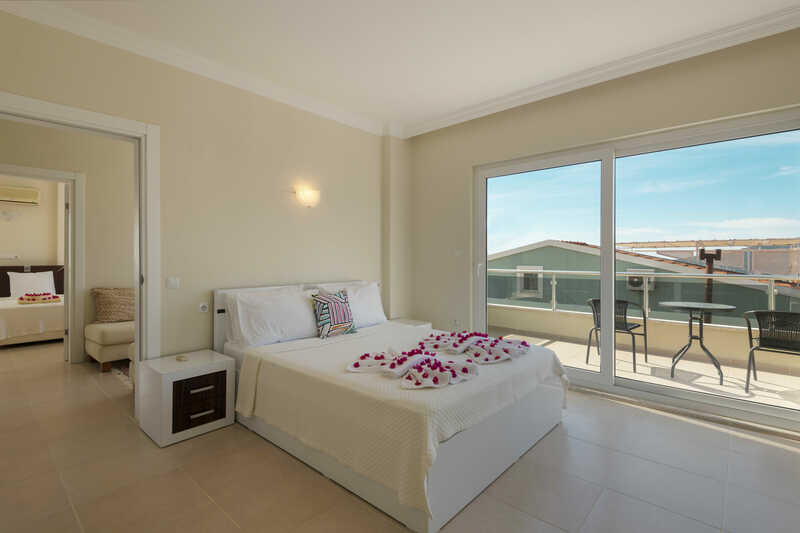 Stairs lead up to the first floor of the property where there are two further bedrooms- a double bedroom with en-suite and a master bedroom with en-suite. 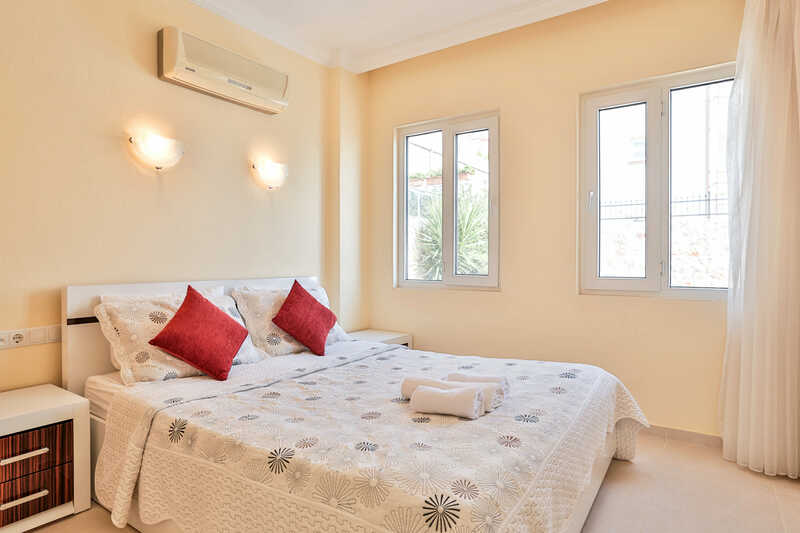 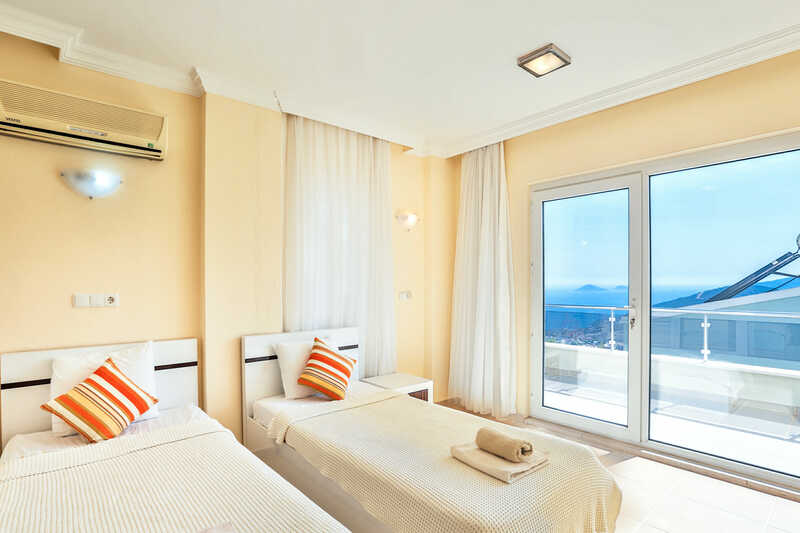 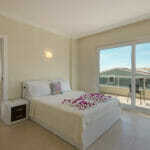 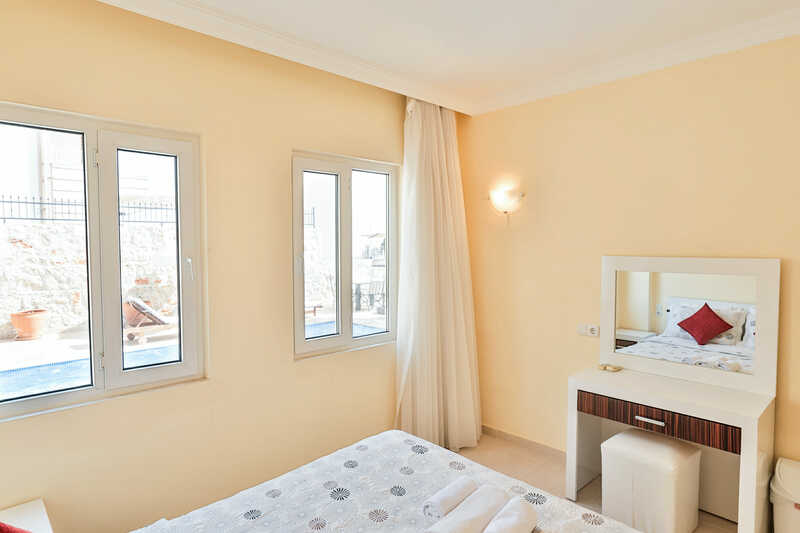 Each of these bedrooms has access out onto a large front facing sea view balcony. 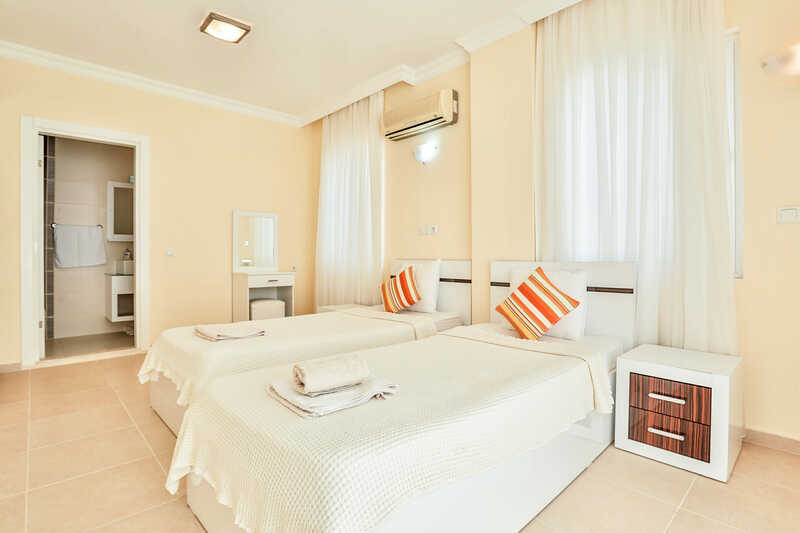 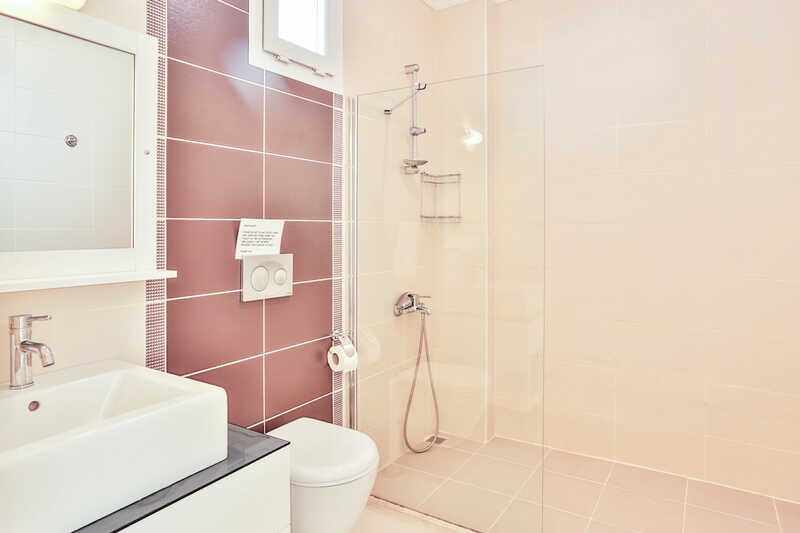 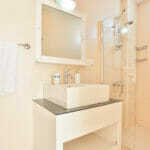 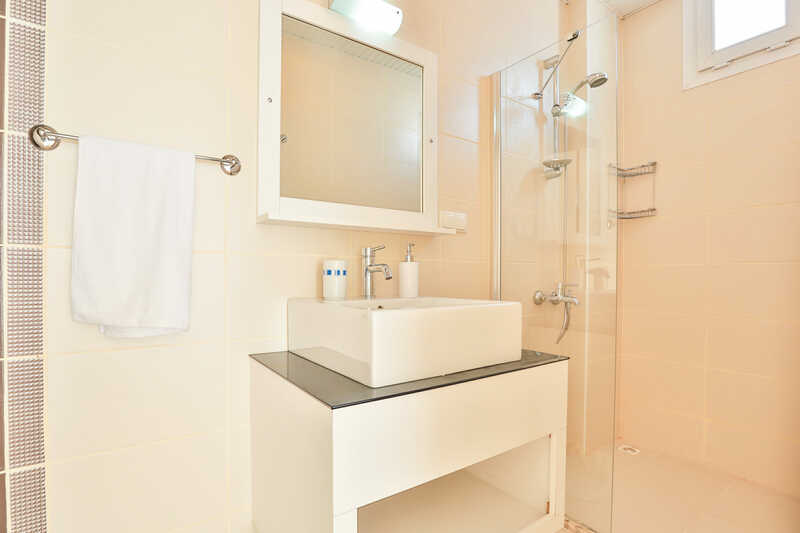 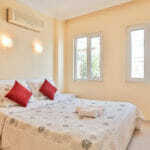 At the top of the villa there is a further, single bedroom with adjacent bathroom. 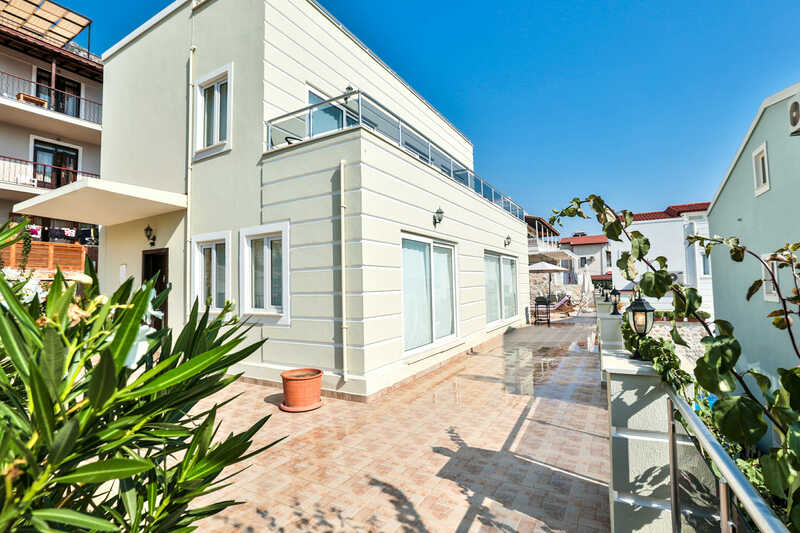 A door leads out onto the roof terrace from which there are lovely sea views. 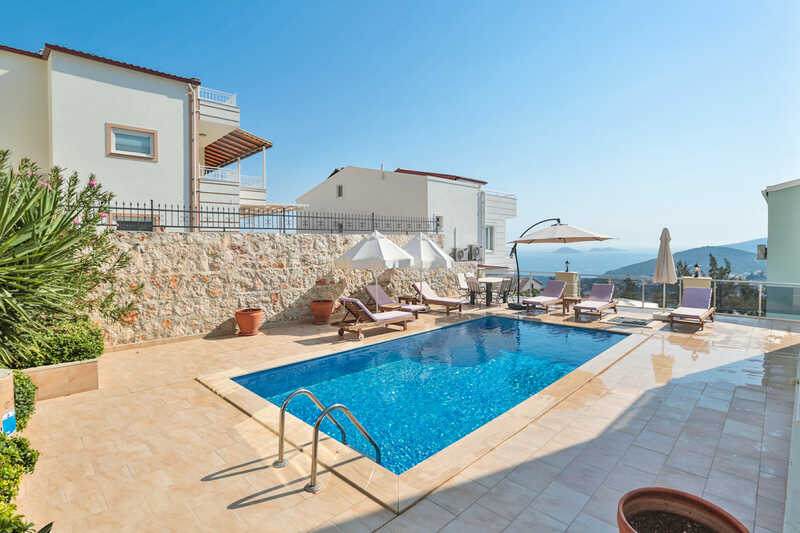 Expansive terraces wrap all around the villa and there is a large, private swimming pool. 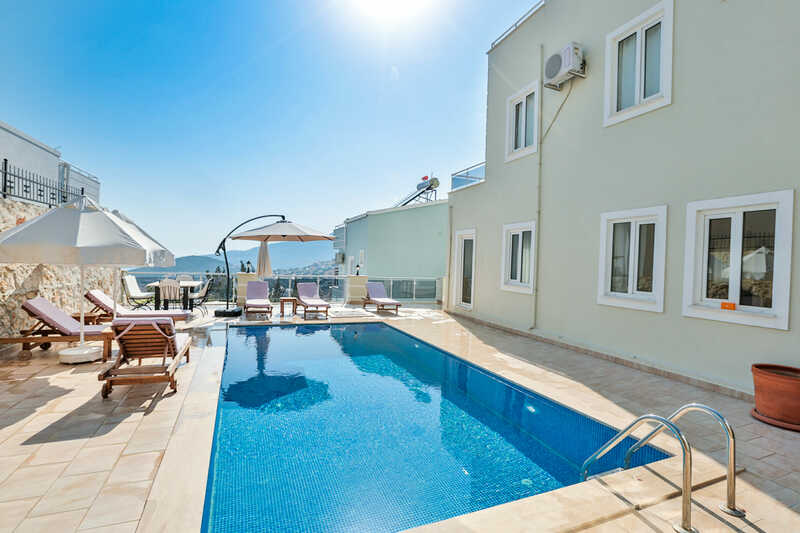 The terraces are furnished with sun loungers and an outdoor dining table with chairs. 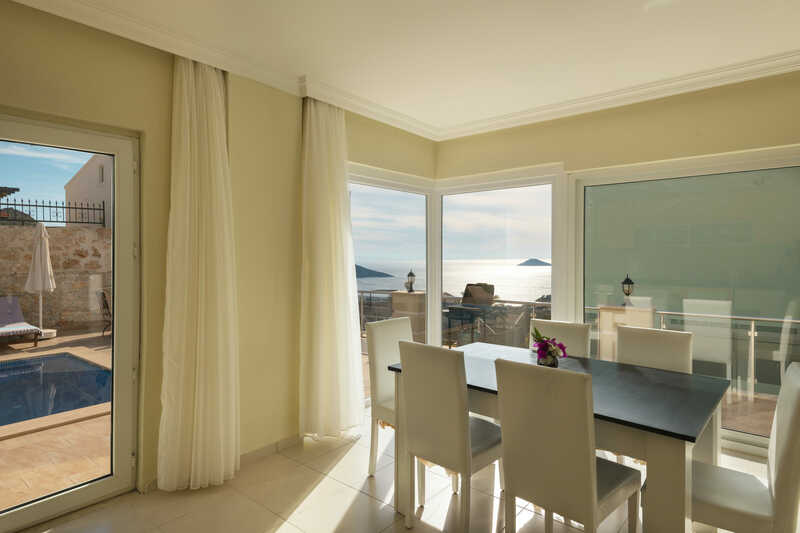 The views from the pool terrace out over the bay are beautiful. 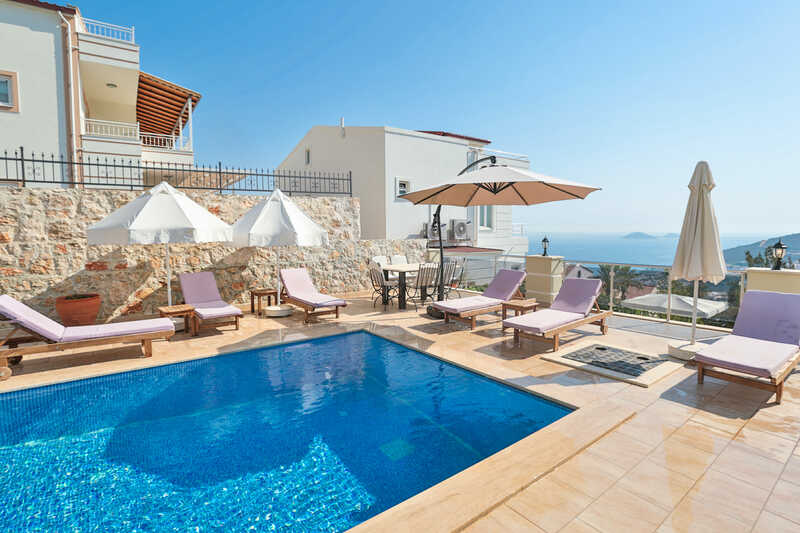 Located in the lower Kiziltas neighbourhood of Kalkan, the villa is an easy 10/15 minute downhill walk to the centre of Kalkan.